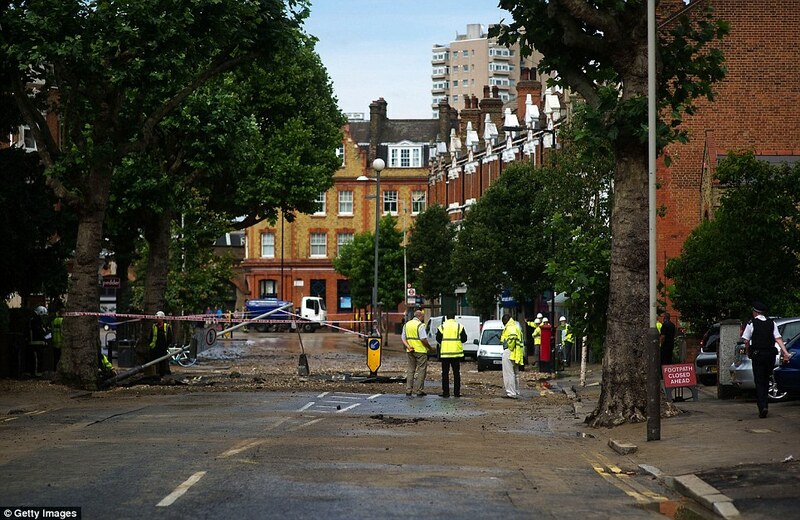 A major clean-up operation is underway this afternoon after the heart of a London suburb was submerged under a metre and a half of water when a main from 1925 burst. 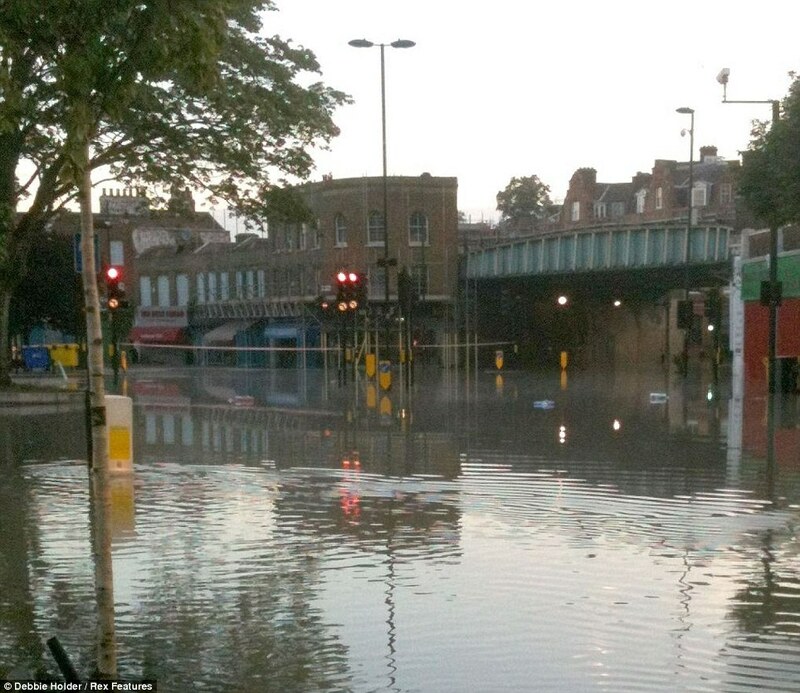 People in Herne Hill, south London, woke to find they were trapped in their homes after the 88-year-old pipe failed at around 5am. 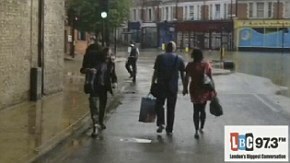 Those who ventured outside had to wade through the flood, often carrying other people on their backs, but by lunchtime it had subsided, leaving a trail of thick dirt and debris which could take days to clean away. 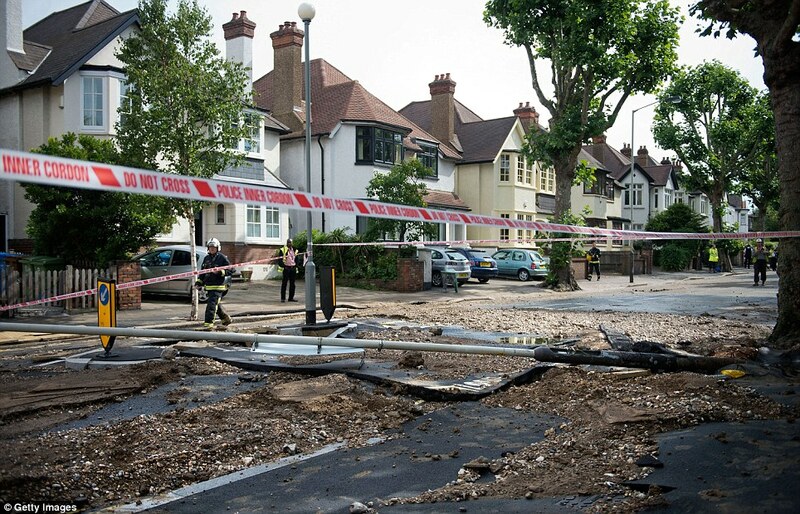 The thousands of gallons of water that rushed out of the ground also ripped up the road surface and street lights. 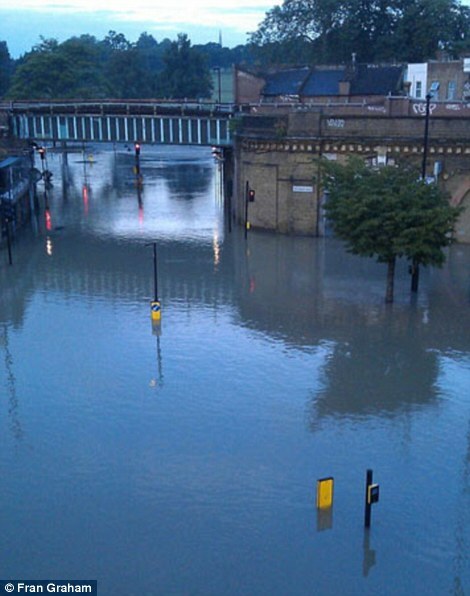 Thames Water said today they were investigating the cause of the burst main, but admitted the Victorian pipe network under London causes them problems. 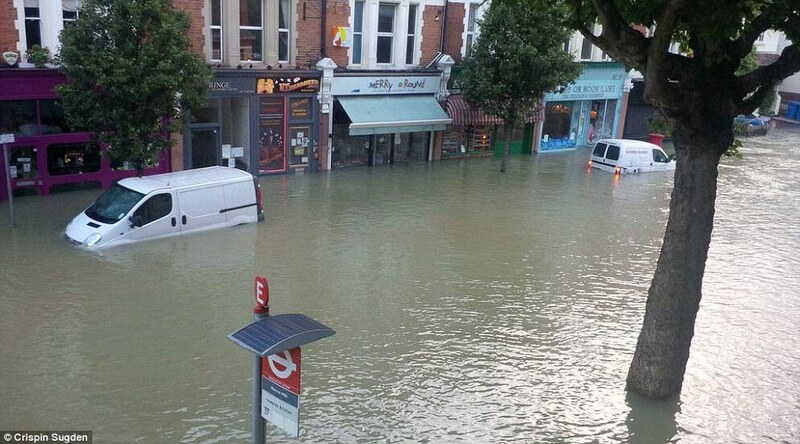 The latest incident has raised serious questions about the drainage in the area, after it emerged that the same streets flooded after torrential rain in 2004. 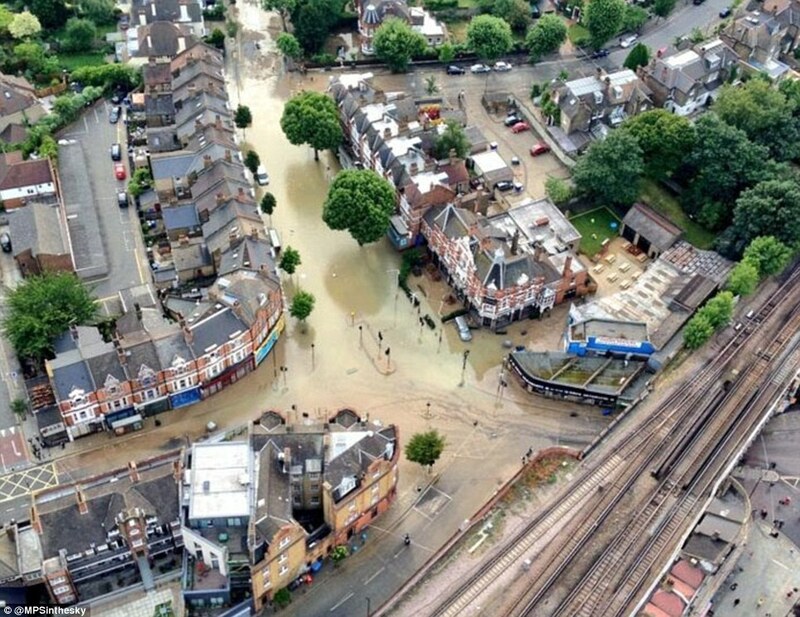 Ms Graham, 25, a receptionist at environment campaign group Friends of the Earth, said: ‘The water is pretty much gone now and they are clearing up mud everywhere – all the silt and stuff has come out of the drains. 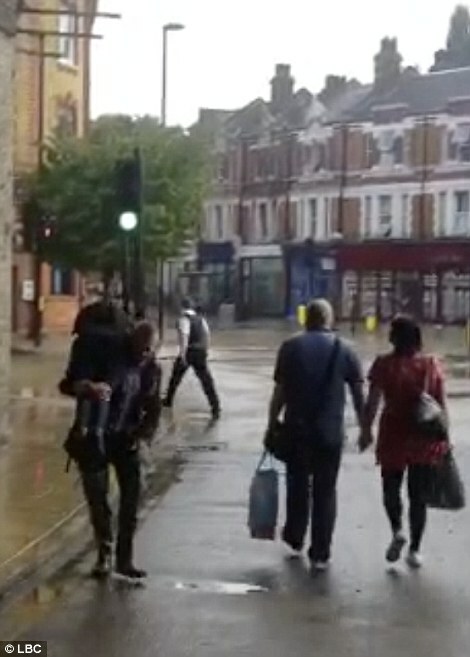 They are hosing down the streets. 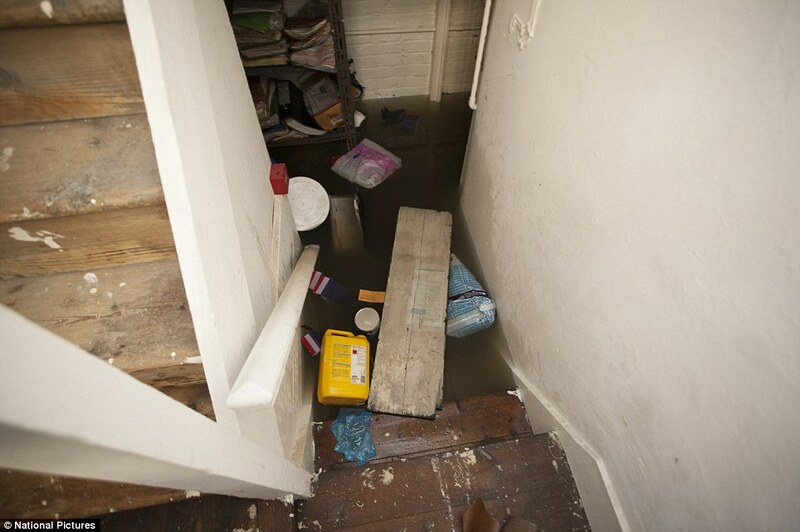 ‘We are on the third-floor flat – our hallway was a little bit soggy and smelly but all of our stuff is okay. 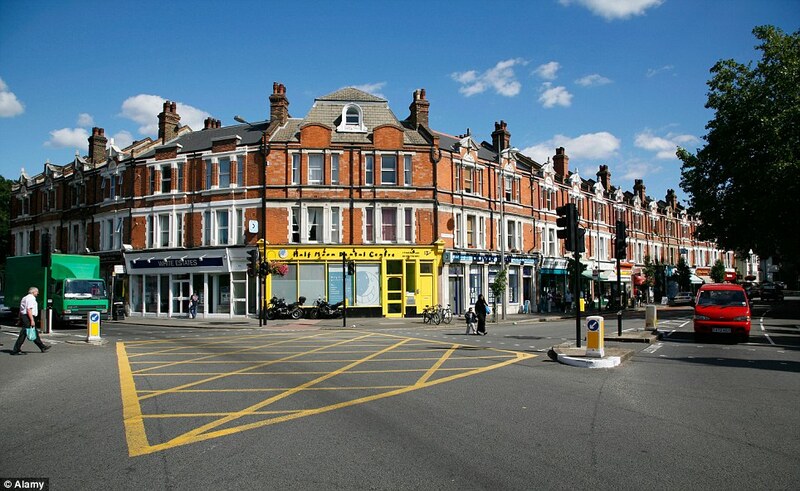 John Lynch is a supervisor at Herne Hill Services motor garage which is situated on the junction. 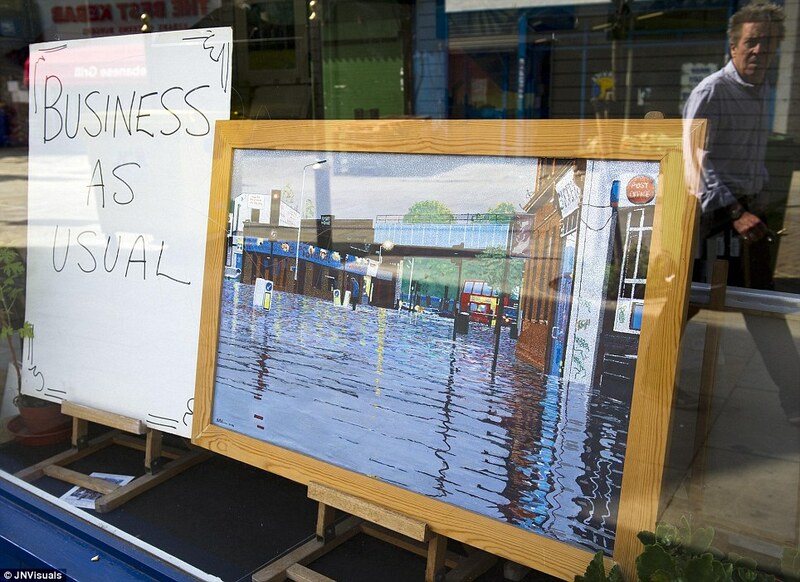 He said: ‘When we waded into the workshop it was absolutely bedlam. 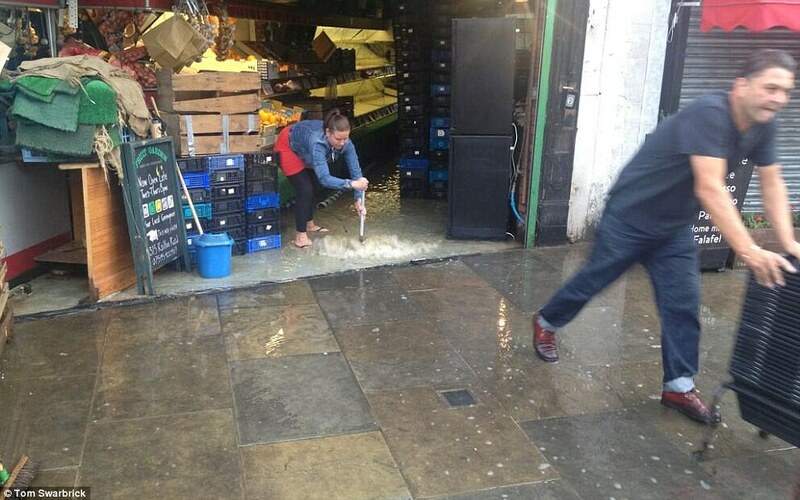 The water was about a metre up the wall, so it’s got in everywhere. ‘We had half a dozen cars here and waiting to be worked on. 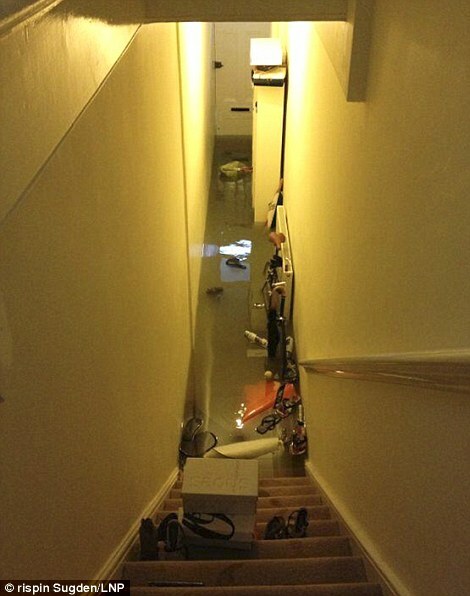 Luckily the seals on the door were all relatively tight so they haven’t got any water damage. ‘But we don’t know what state our equipment is going to be in, there’s a lot of electrical equipment in here which is going to need to be tested. ‘We’re closed today, but we’ll just have to take it day by day because we need to know it’s safe to work. ‘There’s six employees at the business. At the minute, it’s all hands on deck with the buckets just trying to bail out the workshop. 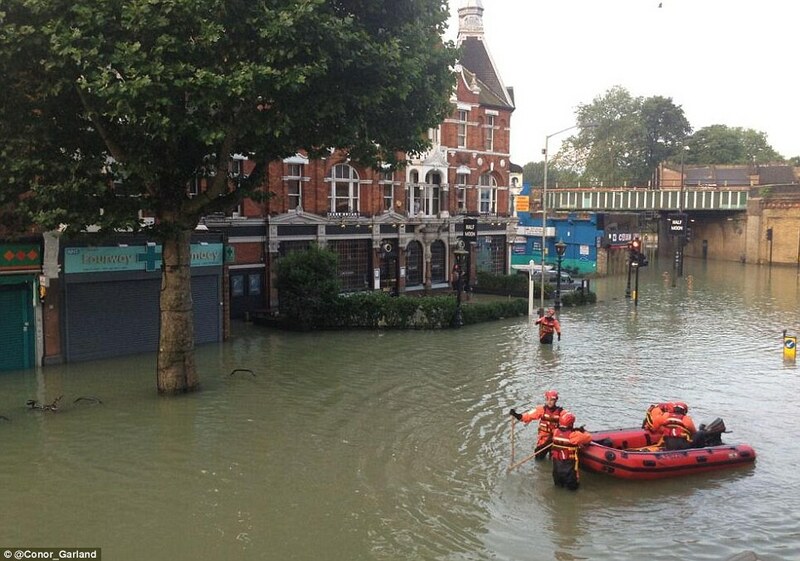 Bruce Grain, Brixton fire station manager, said: ‘At its peak the water was up to a metre and a half deep and covered an area of about 200 metres by 200 metres, but fortunately it has now subsided although we will be there for most of the day helping to clean up the area. 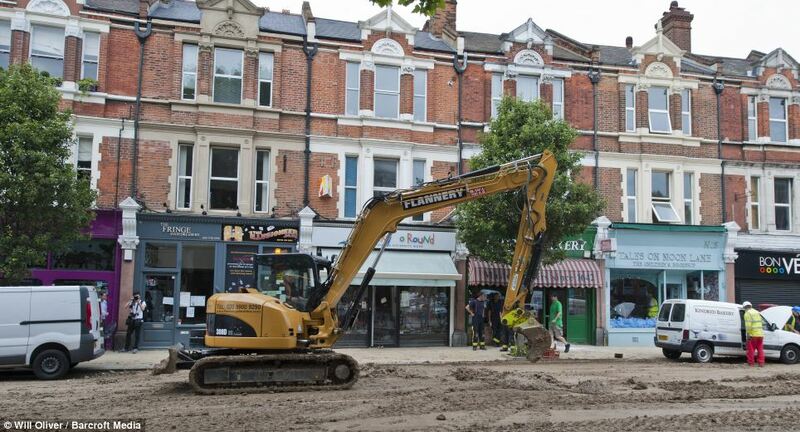 ‘The basements of 37 homes and local businesses have been confirmed to have been flooded with water up to three metres deep and our crews are working really hard to pump out the water and minimise the damage. 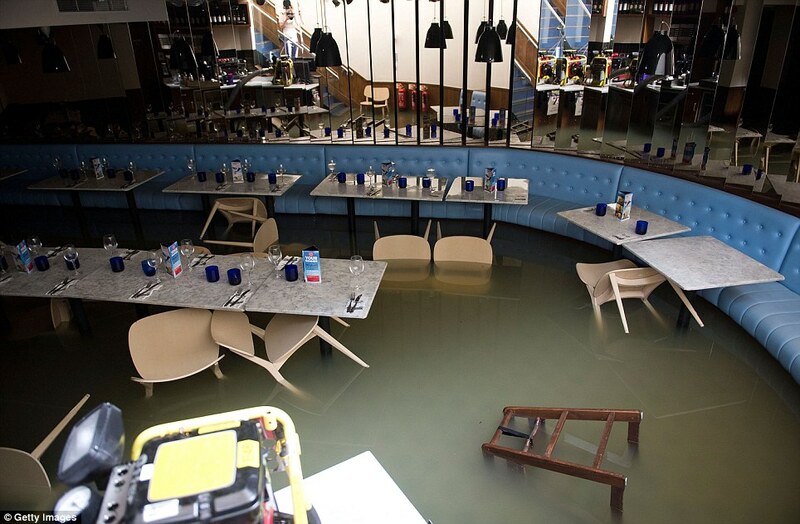 ‘The pub nearby has around 60,000 litres of water in the basement alone and should take an hour and a half to clear with our high-volume pump. 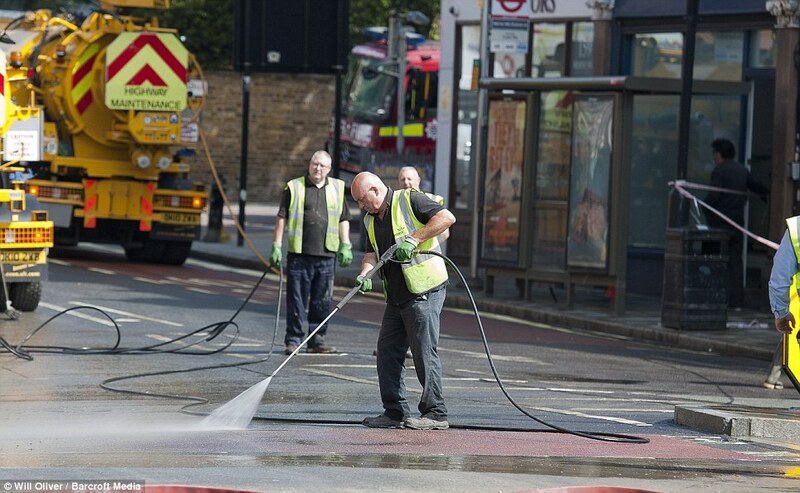 ‘At the same time we’re spraying the road to get rid of the mud so roads can be reopened and people can get on with their business. 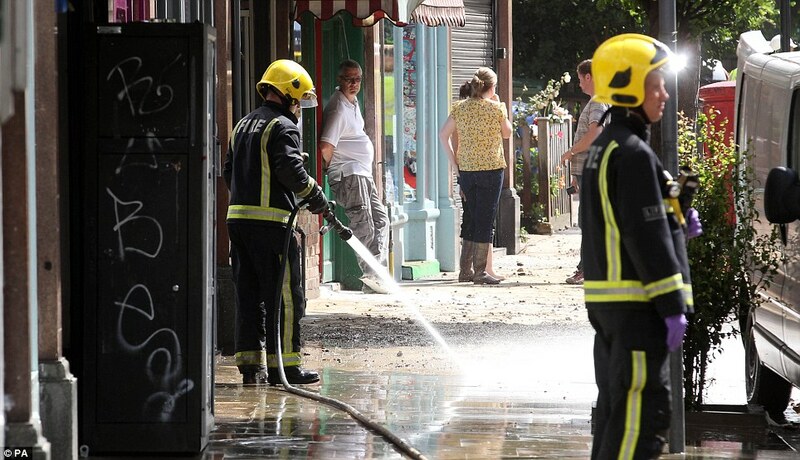 ‘We hope to open a number of roads in the next few hours and help neighbouring shops to reopen. ‘People are reasonably upbeat about the disruption. Many residents were able to leave their properties by the back entrances to get to work. The Environment Agency is also at the scene, the LFB said, along with local authority staff and National Power, which has turned off electricity in the affected area. The gas board is also attending because of the smell of gas, it added. 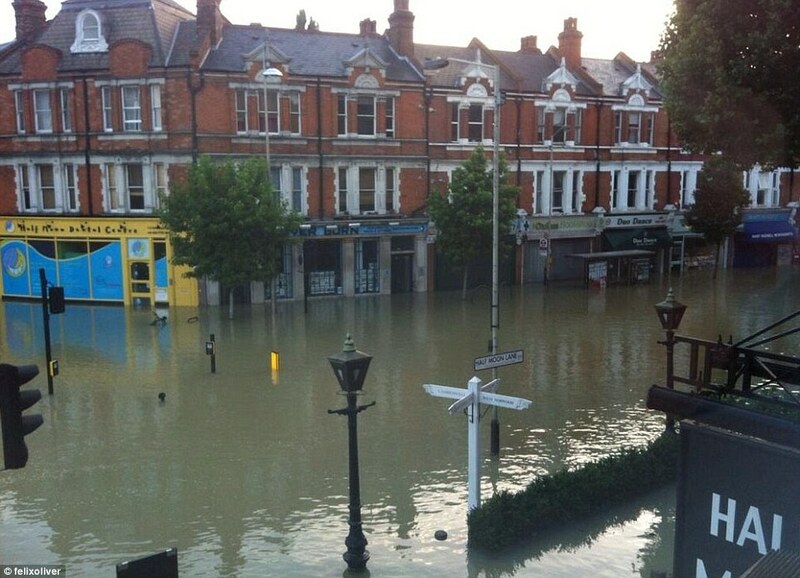 Thames Water said the problem was with large water main, which had to be switched off, and mains water was diverted. 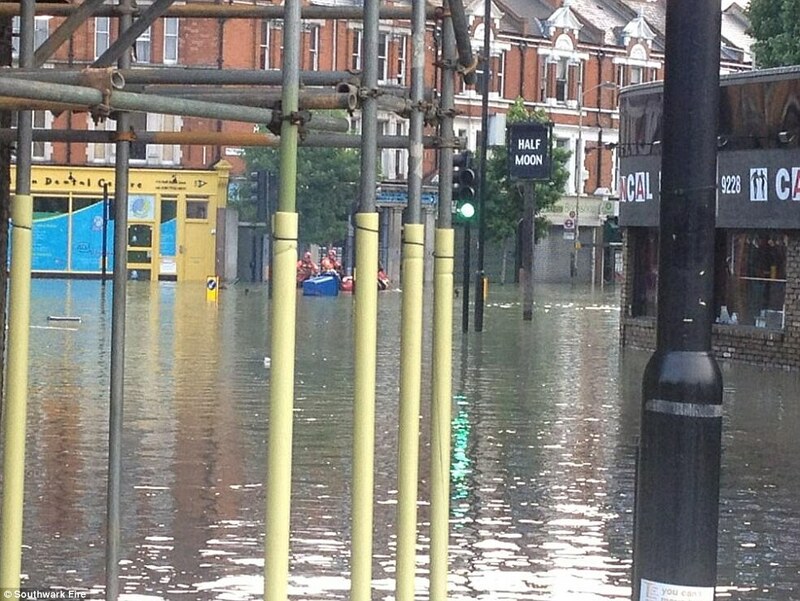 ‘A 3ft-wide water pipe burst in Herne Hill at the junction of Half Moon Lane at 5am today floodingthe road and 36 properties in the area. 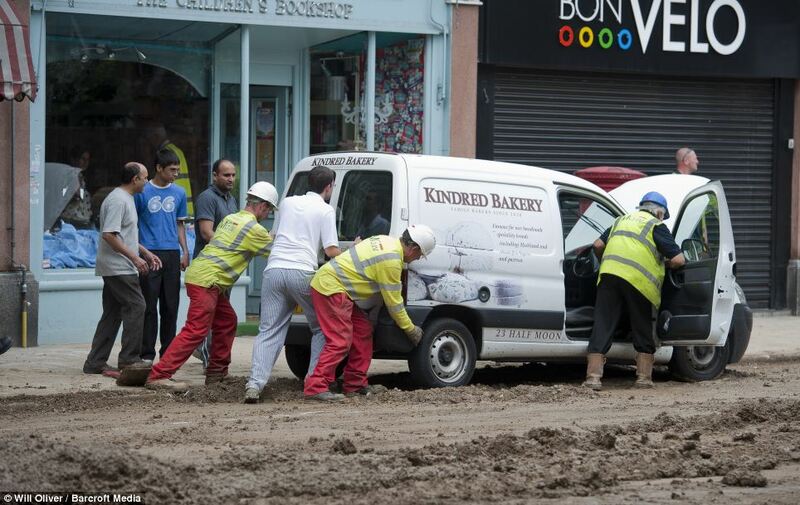 ‘We’re really sorry to affected customers and we are working hard to get people’s lives and businesses back to normal as soon as possible. We are now talking to affected customers to get the insurance process under way. 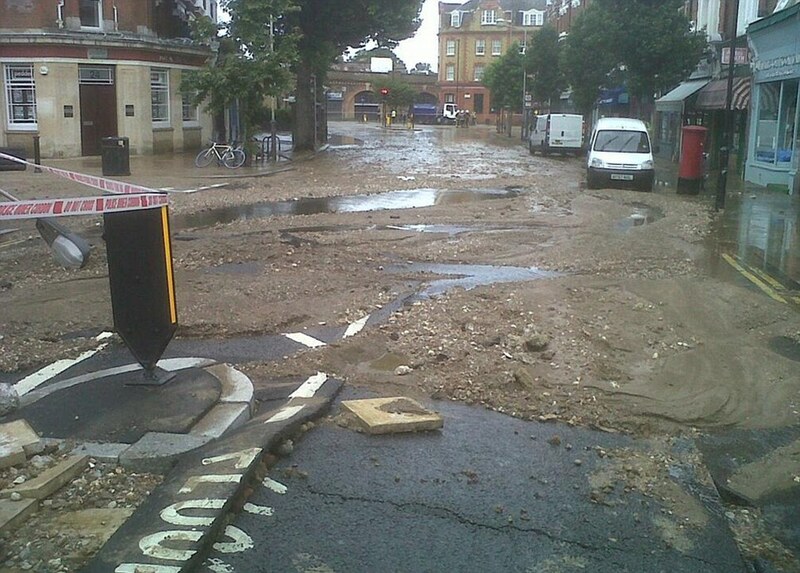 ‘We hope to have the road cleaned and Herne Hill open this evening. Half Moon Lane will remain closed while we work to fix the broken pipe. ‘Customers should all still have water running through their taps as we have managed to re-routewater to the affected area from other parts of our network. 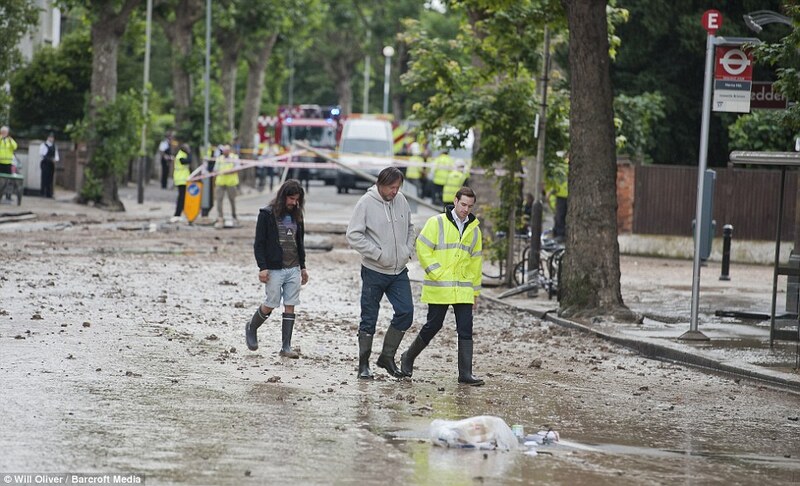 ‘We do not yet know what caused the burst as we need to dig down and fully investigate. The main that burst is a cast-iron main built in 1925. ‘As with the rest of our 20,000 mile water pipe network, this main is subject to regular checks. 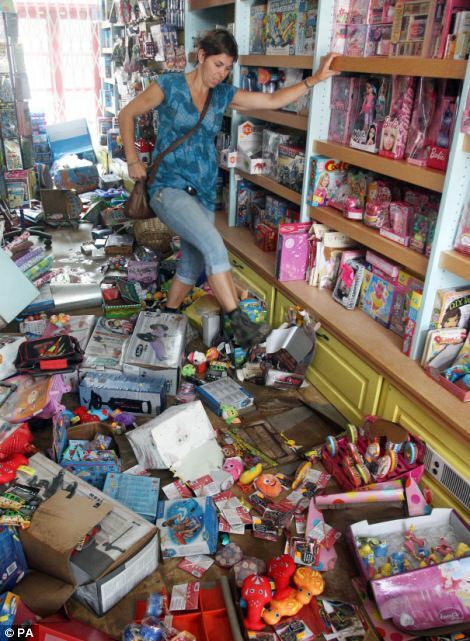 ‘It was checked before the Olympics last year and there were no obvious signs of disrepair. 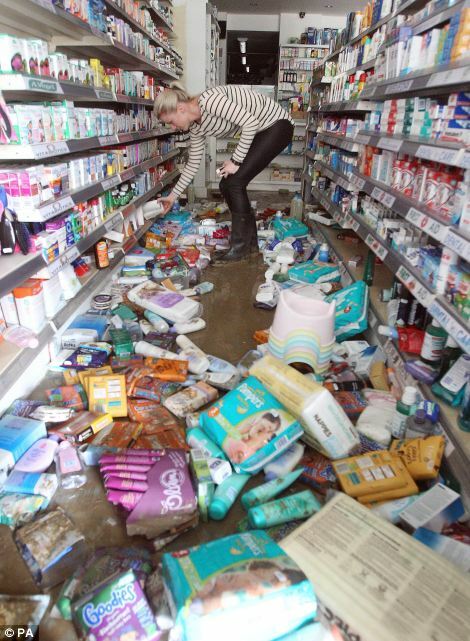 ‘We’re really sorry to all those affected and we’re working hard to return the area to normal’.